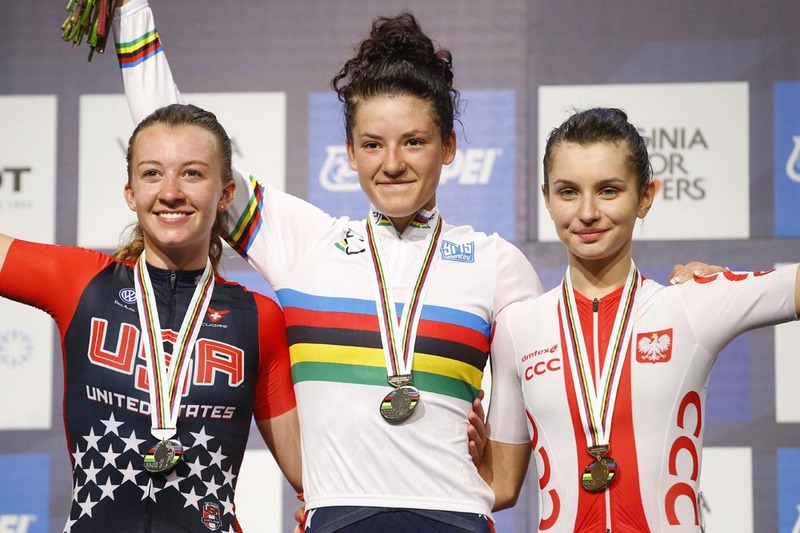 Chloe Dygert continued her impressive show of strength in the junior women’s category of the 2015 UCI Road World Championships by winning the road race on Friday to go with her time trial title. 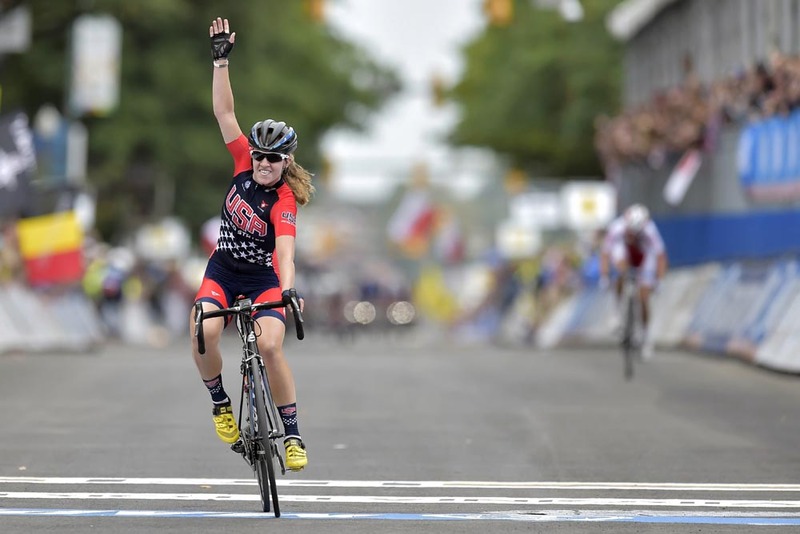 Dygert gave her home crowd in Richmond, USA, a great display of tactics and power, attacking from a four-rider break to take a clear solo victory at the end of the 64.8-kilometre race. American celebrations were magnified when Dygert’s team-mate Emma White came in for silver, one minute and 23 seconds behind, with Polish rider Agnieszka Skalniak completing the junior women’s podium in third to claim the bronze medal. Great Britain’s Grace Garner – sister of former double junior world champion Lucy Garner – put in a solid ride to finish seventh in a group that came in behind the lead trio. Fellow Brits Abby-Mae Parkinson, Elizabeth Holden and Eleanor Dickinson finished in 18th, 35th and 39th places. 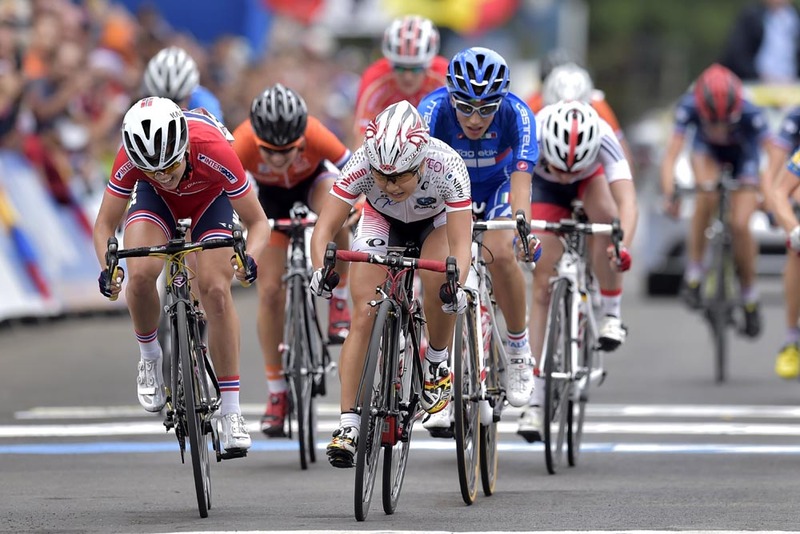 The World Championships road races continue on Friday with the under-23 men’s event.